On Windows I use MiKTeX and TeXstudio. On Linux I use TeX Live and TeXstudio. I don't write much in LaTeX. I write a lot in R Markdown. R Markdown output to pdf works best (for me) with TinyTeX LaTeX (vs MiKTeX or TeX Live). Can I still use TinyTeX to make TeXstudio run properly (and LyX too) for the occasional times I use those programs. Or do I need a 'proper' LaTeX such as MiKTeX or TeX Live? 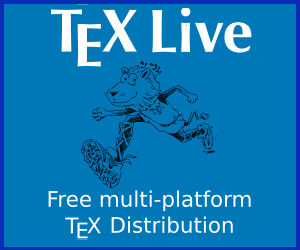 TinyTeX can be used in place of other TeX distributions because it is essentially TeX Live. Depending on the files you compile in TeXStudio and LyX, as opposed to those you've already compiled in R, you are likely to get errors and will need to address each error by installing the missing package manually. Personally, this would drive me mad very quickly, but your kilometres may vary. If your system is multi-user, every user will need to install TinyTeX and install all required packages. TeX Live and its binaries are installed in non-standard locations. Hence, you may need to configure editors with custom paths. You probably cannot install TinyTeX as a dedicated user. On the other hand, if you would otherwise install with root privileges, you are probably safer: you can only destroy all your personal files and data. Then again, there's an additional script involved from another source, so there's another point of vulnerability, human error, mishap and mayhem. Again, YKMV. On Linux, you will need to install a dummy package. If you current install vanilla TeX Live from upstream, you may already do this. If you install using your distro's package manager, this will be a new requirement. TinyTeX assumes that ~/bin is in your PATH on Linux. This is not true by default in all distributions. Moreover, I would not recommend adding this as the first part of your PATH for security reasons, whereas this is the standard advice when using the default installation location. Somewhat safer might be to add the actual directory containing the binaries (rather than the directory containing the symbol links), though I would not be entirely happy about this myself. If you add ~/bin to the end of PATH, as is usual, a correctly installed dummy package will be of crucial importance. Again, YKMV. You may be less paranoid about such things than me. Personally, I'd look first into making TeX Live work with R, as I'd think that would provide the most robust and straightforward, best supported and all round easiest option. But if you really like certain features of TinyTeX, you will obviously feel differently from me. Not the answer you're looking for? Browse other questions tagged lyx miktex texlive texstudio r or ask your own question. Can I just install TeX Live to get ConTeXt?